Percocet (acetaminophen/oxycodone) is prescribed to those dealing with moderate to severe pain. But it can also cause feelings of euphoria, and it has a high potential for abuse and dependence. Due to the risk they pose for developing tolerance, dependence, and addiction, Percocet and other opioids are controlled substances. Over time, users need more and more Percocet to achieve the same effects once achieved at much lower doses (also known as tolerance). Incremental dosage increases place users at risk of physiological and psychological dependence. Users may begin to spend increasing amounts of time obtaining the drug, using it, and recovering from its effects. They may continue to use despite negative consequences to their relationships, health, or finances. Once a person has become dependent on or addicted to opioids, reducing the dosage or quitting abruptly will cause withdrawal symptoms to occur. Many users continue to take Percocet to prevent or stop these symptoms. Problems focusing or remembering things. Using more Percocet than prescribed or more than intended. Trying to quit using Percocet with no success. Experiencing cravings to use Percocet. Spending a lot of time using or attempting to acquire Percocet. You or a loved one may have several physicians who prescribe Percocet or may even have turned to illicit drugs to curb cravings or withdrawal symptoms. Neglecting responsibilities at home, work, or school. Using despite social or interpersonal problems. Noticing that Percocet makes medical problems worse but continuing to use. Taking Percocet in physically dangerous situations (ex., driving). No longer engaging in activities or hobbies that you once enjoyed. Noticing that the drug has less of an effect than it once had or that more is required to obtain similar results (tolerance). Experiencing withdrawal symptoms when you stop using Percocet or reduce your dosage (dependence). Treatment for Percocet addiction can be expensive. However, many options are available to help cover the costs. How much of the cost your insurance covers. Insurance. Insurance may cover some or all of the cost of treatment. But you may still be responsible for some out-of-pocket costs. Credit cards. Credit cards are another option for covering treatment costs. However, make sure you can secure a good interest rate and pay back the balance in a realistic amount of time. Loans. If you have good credit, you can also consider taking out a personal loan or borrowing money from friends and family. Crowdfunding. Sites such as GoFundMe provide a way to seek donations for treatment from family, friends, and people all over the world. Payment plans and sliding scale. In addition to what your insurance will cover, most facilities will work with you on a payment plan or adjust the fees based on what you can afford. Scholarships. Some facilities will also grant a certain number of charitable or scholarship admissions. Who Answers? today to talk to a recovery support advisor about treatment programs for Percocet addiction. If you or a loved one would like to get treatment and start recovery from Percocet addiction, there are several options available. Many people begin their recovery with a period of medically supervised detox and then transition to some type of formal treatment program as the risk of relapse for opioids is high. 1 Following a similar course of treatment can help reduce the unpleasant withdrawal experience, increasing the chances of successful detox and solidifying an individual’s commitment to long-term recovery. Residential treatment – Inpatient or residential treatment facilities require you to live at the facility while you are receiving treatment. They often provide individual, group, and family therapy; art and recreation therapy; yoga and fitness classes; healthy and balanced nutrition; and medication management. The length of stay can vary greatly from person to person and usually depends upon the severity of addiction and whether or not the person is abusing other substances. Outpatient treatment – Outpatient treatment takes place on a part-time basis, and these programs do not require you to live at the facility. Outpatient can be a primary form of a treatment or be used as follow-up care once a person completes an inpatient program. Types of outpatient programs include partial hospitalization programs (PHPs) and intensive outpatient programs (IOPs). PHP is an all-day program that mostly involves group therapy and provides medication management. IOP is a partial-day program that provides group therapy and expects that you have an outside provider for medication management. 12-step programs – Twelve-step programs include Narcotics Anonymous (NA) and focus on completing a set of recovery steps with the help of a sponsor. Non-12-step programs are available for people who are not comfortable with the spiritual approach of 12-step programs. These groups include SMART Recovery, Women for Sobriety, and Secular Organizations for Sobriety. 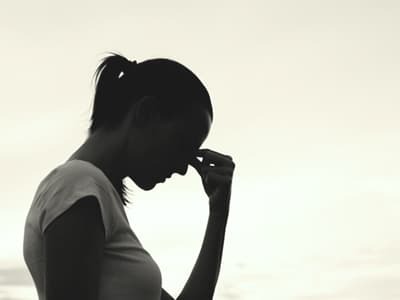 Dual diagnosis – Often, when someone is getting help for his or her substance abuse, underlying mental health issues, such as anxiety and depression, may be discovered. These are issues that may have been driving the abuse of Percocet. It is estimated that 41.2% of adults who were diagnosed with a substance abuse disorder in 2015 also had some type of co-occurring mental health issue. 5 Dual diagnosis facilities offer both mental health and substance abuse programming, ensuring that no area is left untreated. Group therapy – Group therapy is part of many addiction recovery programs and can also serve as follow-up care after a person completes a treatment program. A group of people in recovery meet to discuss issues surrounding their addiction and offer feedback and support. Individual therapy – Individual therapy is another option and focuses on delving deeper into the reasons why a person became addicted, in order to facilitate lasting change. Accreditation. Accreditation assures you that the facility is accountable to a third party for maintaining certain standards of practice. The Commission on the Accreditation of Rehabilitation Facilities (CARF) and the Joint Commission are two such accreditations to look for. Staff credentials. Look for staff that have degrees and certifications in addiction treatment. Therapists should have master’s degrees and be licensed, and physicians should ideally have training in addiction medicine. Program philosophy. Is the program faith-based, 12-step-based, evidence-based, or a mix? Make sure the program’s approach is something you’re comfortable with. Location. Do you want to travel for treatment, or stay close to home so that it’s easier for your family and friends to be involved in your care? Buprenorphine may also be used to reduce dependence on Percocet and help ease withdrawal symptoms and cravings. Not all facilities or providers will offer buprenorphine or methadone, so it is important to ask about these drugs specifically. Long-term effects include constipation, risk of overdose, and sexual dysfunction. Increased risk of dependence and addiction. Increased risk of respiratory depression and death. Increased risk of accidental overdose. Increased risk of contracting HIV, hepatitis, and bacterial infections (if injected). Financial issues from having to maintain a constant supply of Percocet. Occupational or educational issues from poor performance or excessive absences. Relationship issues from neglecting responsibilities at home and spending an increasing amount of time using Percocet, buying it, and recovering from its effects. The symptoms are not life-threatening, but they can be very uncomfortable. Many users experience strong cravings during this period to use the drug again. Medication-assisted treatment, which is discussed above, can help ease you or your loved one through the withdrawal phase. If you or a loved one needs help dealing with a Percocet addiction, help is only a phone call away. Please contact one of our representatives today at 1-888-319-2606 Who Answers? .
. Volkow, N. (2014). America’s Addiction to Opioids: Heroin and Prescription Drug Abuse. National Institute on Drug Abuse.
. National Library of Medicine. (2016). Oxycodone.